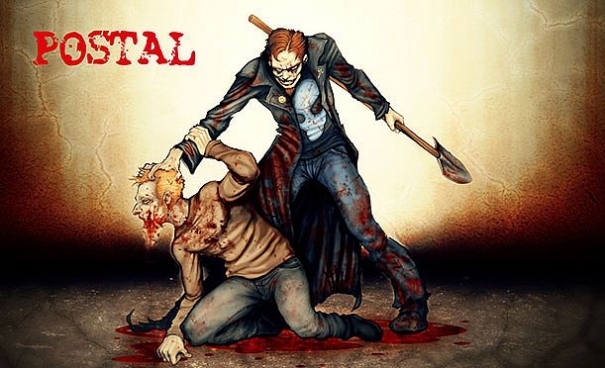 So it's no secret that I love Postal 2, but what about its predecessor, Postal? Well, I've always held that both are fantastic for different reasons. If you are in it for the controversial humour, Postal 2 is for you. If you would like to dive into the mind of a psychotic spree killer who's lost all control of reality and you want to play a horror game YOU are the scariest thing in the game, Postal 1 is definitely what you want to play. Be warned though, this isn't like Hatred where massacring innocents is glorified with metal screeching in the background, it's a ride down "Fucked Up" lane in the town of "I'm not gonna be able to sleep tonightburg"
Anyway, what's this have to do with anything? Well, for those of you who'd like to play Postal, but are put off by its dating graphics or would just like to play Postal again with a new coat of paint, Running With Scissors has announced Postal Redux. Postal Redux will be a built from the ground up on Unreal Engine 4, with brand new, completely redrawn art and character models. It will also come with several new features such as co-op and the ability to play on Linux. No release date outside of "2015" but I eagerly look forward to it.